BOY OR GIRL? PINK OR BLUE? NOOOO – JUST A KID! Home Creative Quotient BOY OR GIRL? PINK OR BLUE? NOOOO – JUST A KID! The first question that you are asked when you go shopping for children is ” Boy or Girl”? We’ve never really understood how that is relevant to what you want to buy for your child. But this seems to be a very common trend – a trend that is so ingrained in our society that it is not being questioned. 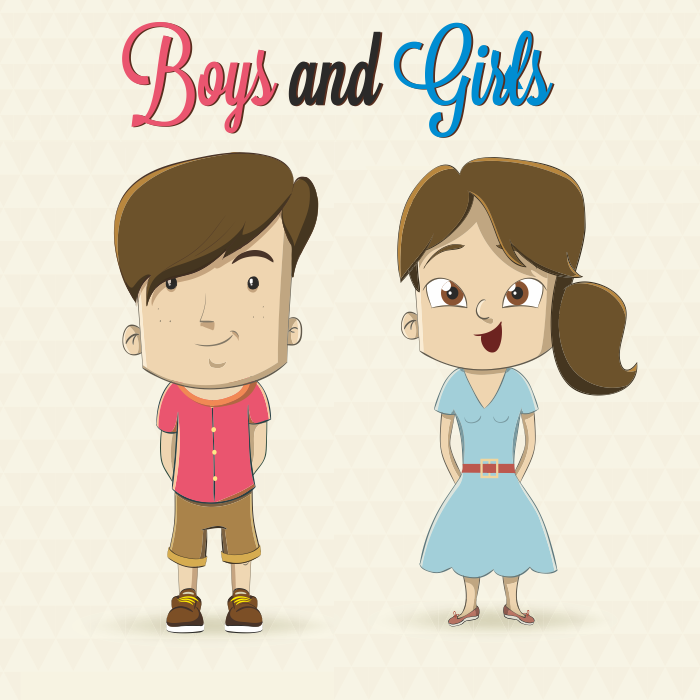 What does Gender have to do with choosing toys for your child? Absolutely nothing! Yet the toy industry rakes in millions on the back of pink and blue stereotypes. There are separate sections in shops for boys and girls – dolls for girls, guns for boys, kitchen sets for girls, action figures for boys, jewellery sets for girls and bow and arrows for boys – you get the drift. Would you buy a kitchen set for your boy? Would you even be guided towards buying this? So, here we are, in the 21st century where women are still struggling to establish their identity in society – and there you have the toy industry working in the complete opposite direction. We are raising generation after generation that is growing up thinking that only girls play with dolls and only boys play with cars. And this isn’t related to toys only unfortunately – it goes across behaviour, clothing, attitude – all being promoted by media and society at large. Thankfully it’s not all dark and dreary – there is hope ( did you just sigh?). People are waking up, stores are realising their folly. May their numbers rise. Target in the US has stopped signage based on gender. Here is what they have to say ” Right now, our teams are working across the store to identify areas where we can phase out gender-based signage to help strike a better balance. For example, in the kids’ Bedding area, signs will no longer feature suggestions for boys or girls, just kids. In the Toys aisles, we’ll also remove reference to gender, including the use of pink, blue, yellow or green paper on the back walls of our shelves”. We at CQ Games make sure that gender has no place in our product lines. We consciously ensure that we promote gender equality and make sure we convey to children that they are all equal. Girls and boys play. Period. IT’S OKAY TO GET BORED! HOW I “FOXED” MY MATH PHOBIA! 2018 © Copyright Creative Quotient Gifting Pvt. Ltd.